Delicate geometric shapes draw the eye without overwhelming the viewer with detail. 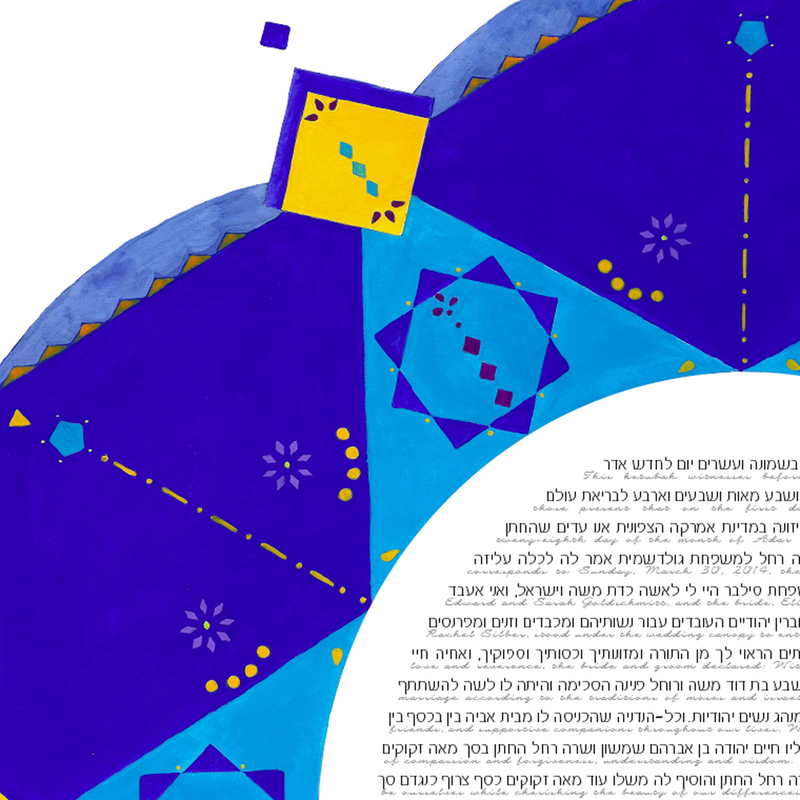 Lines of the text alternate Hebrew and English and fills the entire circles. (Paragraph breaks are deleted). A colorful yellow art deco star of David surrounds the couple's signature lines. A very colorful art deco star of David, in orange, turquoise, magenta, and lilac, surrounds witness and rabbi signature lines.